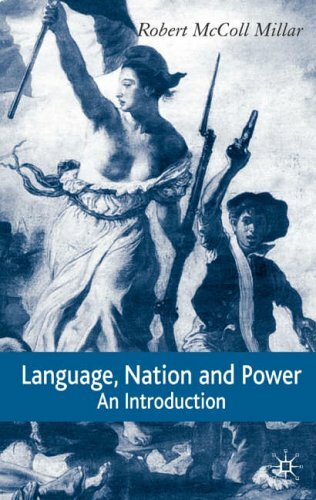 Language, Nation and Power provides students with a discussion of the ways in which language has been (and is) used to construct national or ethnic identity. 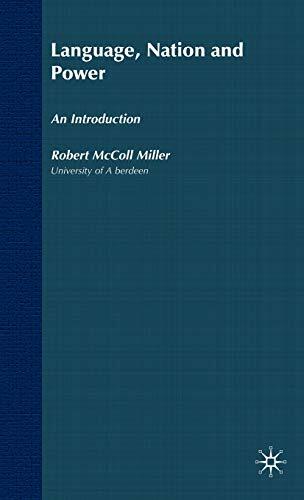 Using examples from around the world and from different historical periods, the book focuses on the processes by which a language can be planned and standardized and what the results of these processes are for both the language and the people who speak it. Language, Nation and Power provides students with a discussion of the ways in which language has been (and is being) used to construct national (or ethnic) identity. It focuses on the processes by which a language can be planned and standardized and what the results of these processes are. Particular emphasis is given to the historical and social effects which nationalism has had on the development of language since the French Revolution. For students of linguistics, sociology and politics.